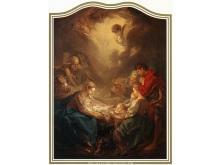 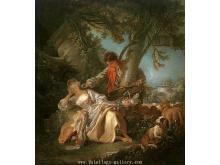 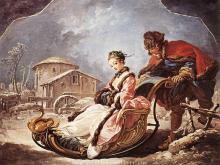 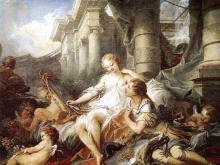 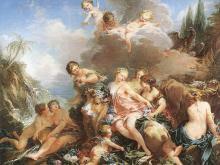 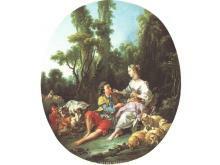 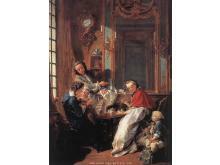 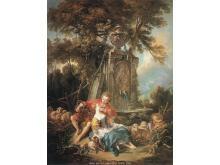 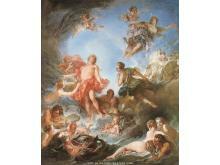 Francois Boucher was born on 29 September 1703, death on 30 May 1770, was a French painter, engraver and designer. 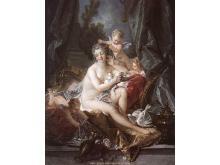 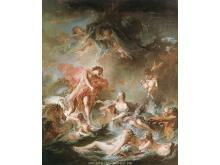 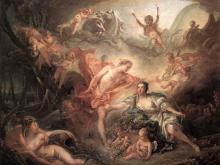 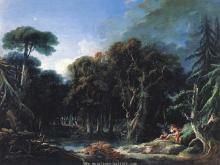 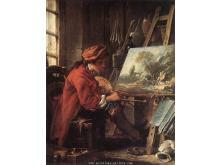 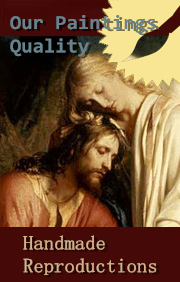 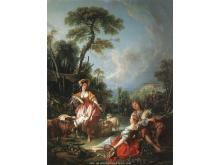 His works are regarded as the perfect expression of French taste in the Rococo period. 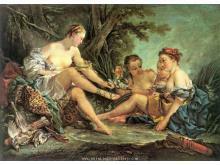 Boucher is known for his idyllic and voluptuous paintings on classical themes, decorative allegories, and pastoral scenes. 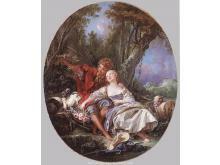 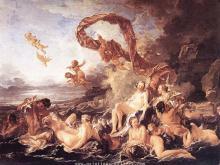 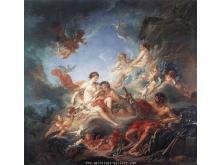 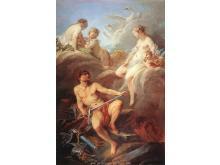 Boucher was perhaps the most celebrated painter and decorative artist of the 18th century. 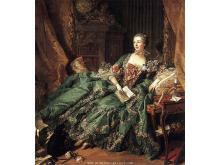 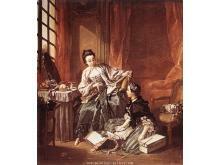 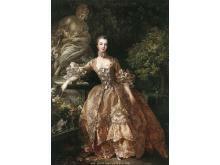 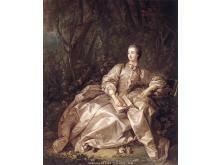 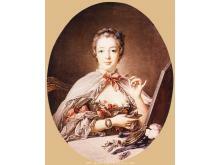 He also painted several portraits of his patroness, Madame de Pompadour.